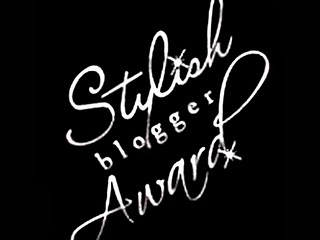 first at all, i want to say big thanks for Maya Irmayanti (Hijab Kawaii) that give stylish blogger award for me. happy! thanks so much dear, hug kiss! and i'll do what the rules of award, seven things about me. i wear braces. yeaaah as you know that formerly my teeth wasn't arranged neatly, that's why i wear it. my braces favorite color is turquoise. i like to give smiling in everyone faces. their smile mean my smile too. shopping is a part of my life. probably my life will be blank without shopping :D do you agree, girls? shopping is exciting activity, a way of dealing with the stress and daily tension that comes. i like listening instrumental Kenny G, smooth jazz saxophonist. almost everyday i listen it, and i never feel bored with those instrument. it's easy-listening. i like to listen it when i am studying and before bedtime. Bali traditional scrubs is my favorite. that's relax. trust me local brands have good quality, not lost than global brands quality. my parents is everything for me. they are my hero. and the point, i really want make them happy. i hope i can invite them to travel around Europe with me! 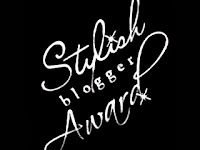 and last, i love-love-love blogging. have a nice weekend, love you! Congrats! I enjoyed reading your facts! Thanks sweetie! This is in sweden! Here is some snow and cold, believe me you dont wanna be here haha! Hai dana, u forget something..
1.I have to thank those who awarded me. 2.I have to write 7 and few things about me. 3.I have to award it to others to keep the cycle going. 4.I have to inform those I awarded. Hi ! thanks for your sweet comment dear!Love your blog and i follow you. Lot's of love. :) , I guess you're interesting girl and friendly.